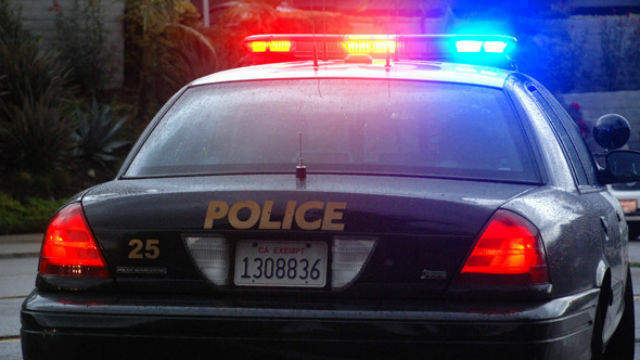 A man robbed a gas station in the Golden Hill area at gunpoint Thursday morning, police said. The holdup happened shortly before 4:30 a.m. at a Shell station at 2484 F St., San Diego Police Officer Sarah Foster said. The gunman walked into the convenience store at the gas station, pointed a handgun at the clerk and demanded money, she said. The clerk complied and the man fled westbound on F Street with an undisclosed amount of cash. The suspect was described as an unshaven, roughly 5-foot-6-inch black man in his 30s, weighing around 200 pounds. He was wearing a black beanie and a black sweater, SDPD public-affairs Officer Billy Hernandez said.